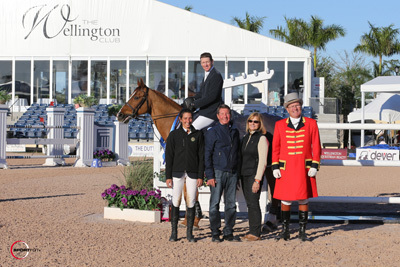 Wellington, FL – February 17, 2013 – Week six of the 2013 FTI Consulting Winter Equestrian Festival, sponsored by Spy Coast Farm, concluded on Sunday with a win for McLain Ward (USA) and Sagamore Farm’s Rothchild in the $33,000 Suncast 1.50m Championship Jumper Classic, a Longines FEI world ranking class. Fifty-eight entries showed over the 1.50m track, set by Brazilian course designer Guilherme Jorge. Seventeen went clear in round one to qualify for a tie-breaking jump-off, and McLain Ward and Rothchild had the fastest of eight double clear rounds in 35.33 seconds for the win. 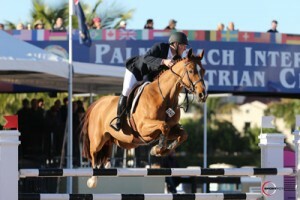 McLain Ward and Rothchild. Photo © Sportfot. Tim Gredley (GBR) and Unex Competition Yards’ Unex Omega Star placed second in 36.27 seconds. Alise Oken (USA) and Hi Hopes Farm, LLC’s Teirra finished third with their time of 36.36 seconds, and Schuyler Riley (USA) guided Michael Meller’s Waterloo to fourth place honors with their time of 36.52 seconds. Rothchild, known in the barn as ‘Bongo’, is a twelve-year-old Belgian Sport Horse gelding by Artos x Elegant De L’Ile. He has been a top mount for Ward and always keeps the rider on his toes with his quirky ways and enthusiastic antics. Rothchild was his usual exuberant self on Sunday afternoon, perhaps with an extra kick to his step due to the unusually cold weather in Wellington. He threw in a buck in the middle of the jump-off round as he and Ward galloped through the course, but wasted no time through the rest of the track. The nickname Bongo suits Rothchild quite well according to Ward. Sunday’s class was the first world ranking class of the Suncast series for this year’s circuit and Ward is pleased to see the increase in prize money as the weeks go on and the level of competition rises. With six weeks of FTI WEF competition in the books and six more to go, Ward has decided to take off for week seven for a little break before the final stretch. Ward, his horses and his support team will return rested and ready to go for week eight’s G&C Farm CSIO 4* competition in two weeks. McLain Ward and Rothchild in their winning presentation with ringmaster Cliff Haines and Tom, Jeannie and Lauren Tisbo of Suncast. Photo © Sportfot. 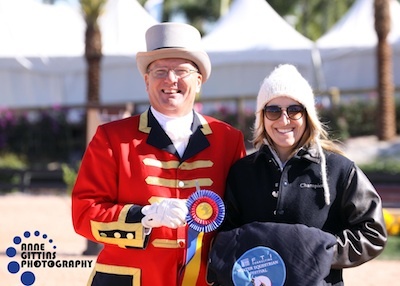 After a year away from the show ring recovering from a foot injury, Saline is back in a big way at the FTI Consulting Winter Equestrian Festival (FTI WEF). 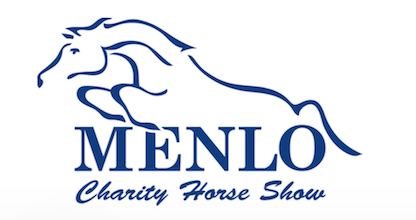 Owner and rider Stephanie Riggio of New York City piloted the 15-year-old Swedish Warmblood mare to victory in the La Mundial Adult Amateur Hunter 18-35 Section B division. Riggio and Saline were named champions of the division after placing sixth and fourth over fences on day one and two blue ribbon finishes over fences on day two. Reserve champion was Utah and Alex Paradysz. 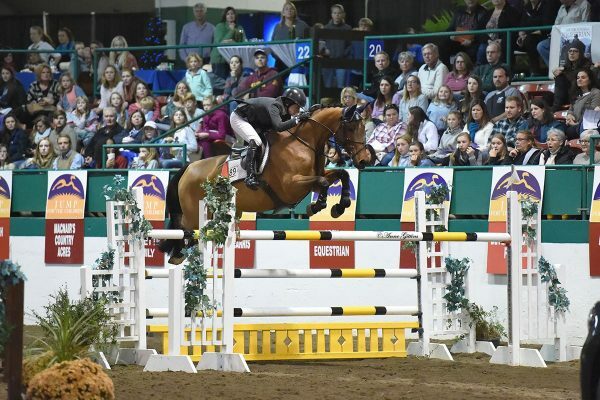 Utah, a 12-year-old Dutch Warmblood gelding owned by Jennifer Martucci, won one of the over fences rounds day one and was second in both over fences classes on day two with Paradysz in the irons. Riggio was elated to have her beloved mare back in action after battling an injury the horse sustained almost exactly a year ago. “She’s had a full year off and I’m just so happy to have her back. I started to cry yesterday when I walked in the ring for my first class. She’s an amazing mare and I feel so lucky to have her back,” Riggio stated. Stephanie Riggio with ringmaster Cliff Haines. Photo © Anne Gittins Photography. Riggio credits their show ring success to Saline’s superior intelligence. “She’s definitely the smartest horse I have. She remembers the strides from class to class, she remembers the courses from class to class,” Riggio described. Saline’s independent nature took some getting used to, but Riggio relishes the ability to let her talented mare take the driver’s seat. “She likes to take over and do it for you, which is really fun as a rider to have that luxury of just sitting back and letting her do her job. Learning to trust her at first was a little bit challenging for me, but now that I do it’s just a really fun experience every time I ride her,” Riggio explained. While the cold weather may have been a hindrance to some riders and horses, Saline came into her own during day two of competition. “I think she may have been a little tired since it was her first show back and it was day two. The cold weather sort of helped her actually a little bit,” Riggio smiled. Riggio was also complimentary of course designer Patrick Rodes’ creative layout. “The courses rode very well. I thought all of the turns were really fun. I liked the bending lines. They were very different and it was a nice change from the usual,” Riggio described. Although Saline has clearly shown she has returned to her previously high caliber of performance, Riggio is committed to bringing the mare along at her own pace. 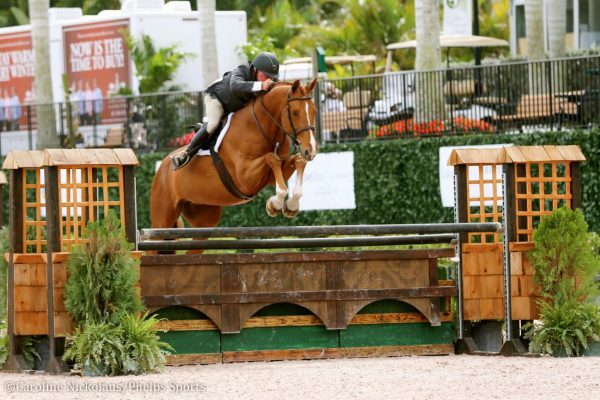 “We’ll be here for the rest of WEF and I’ll continue to show her in this division. I think our goal eventually might be to move her up, but for now we’re just happy to have her back at all. At this point we just want to do what’s comfortable for her and what makes her happy,” Riggio stated. 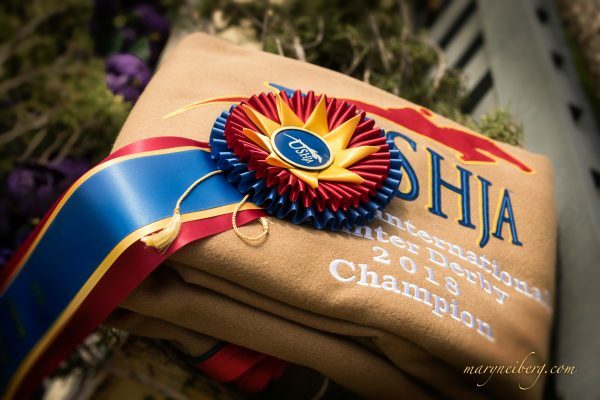 Sunday’s competition concluded week six of the 2013 FIT Consulting Winter Equestrian Festival. Week seven, sponsored by Hermès, runs February 20-24, 2013. The week will feature World Championship Hunter Rider (WCHR) competition in the International Arena at the Palm Beach International Equestrian Center (PBIEC) all week. The highlight $50,000 WCHR Peter Wetherhill Palm Beach Hunter Spectacular will be featured as the “Saturday Night Lights” main event. Also on Saturday is the Special Olympics Palm Beach County Equestrian Games. International jumper competition highlight classes, the $30,000 Ruby et Violette WEF Challenge Cup Round 7, the $25,000 Suncast 1.50m Championship Jumper Classic, and the $50,000 Hermès Jumper Derby will be held at The Stadium at PBIEC on the grass derby field. For full results, please visit www.showgroundslive.com. 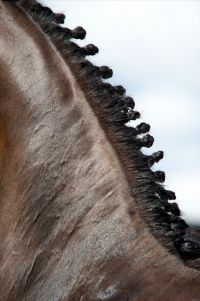 Photo Credit: Photos © Sportfot, An Official Photographer of the FTI Consulting Winter Equestrian Festival, us.sportfot.com, and Anne Gittins Photography, An Official Photographer of the FTI Consulting Winter Equestrian Festival, www.annegittins.com. These photos may be used only in relation to this press release and must include photo credit. 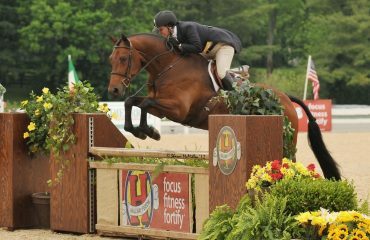 The 2013 FTI Consulting Winter Equestrian Festival has 12 weeks of top competition running from January 9 through March 31. The FTI WEF is run by Equestrian Sport Productions, LLC, and Wellington Equestrian Partners and held at the Palm Beach International Equestrian Center. All 12 shows are “AA” rated and Jumper Rated 6, and more than $7 million in prize money will be awarded.